One thing that has always amazed me is how a doctor knows just how long a woman has been pregnant and thus when her baby is due, especially in the years before ultrasound and many of the other modern tools used. Most couples, especially married couples have sexual relations on a fairly regular schedule which means there is no way to tell which time resulted in the pregnancy. I know they refer to the last menstrual cycle the woman had, along with the exhibition of other symptoms, but how do they determine that the pregnancy occurred a week, two weeks or even three weeks after the menstrual cycle? What do doctors do with a woman who has irregular menstrual cycles that don’t come at regular intervals? Regardless of what a doctor uses to determine the time of pregnancy, for many years, they have given expecting mothers approximate due dates. In the last couple of decades, many doctors have gone from approximate due dates to specific due dates and that is leading to a dangerous epidemic taking place here and around the world. A former co-worker was pregnant and the doctor gave her a specific due date. As the due date approached, she was showing no signs of being ready to deliver her baby. Two days after the due date, the doctor decided to deliver the baby via Caesarean section (C-section). 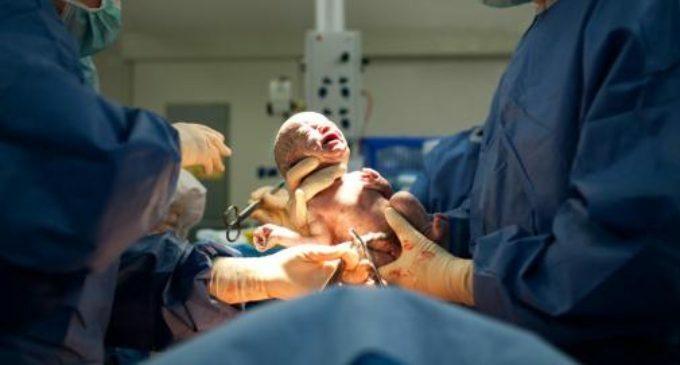 The process is named after Julius Caesar who was reported as being delivered by a doctor cutting into his mother’s womb and delivering her baby, who would grow up to be one of the most powerful rulers in the ancient world. My co-worker developed an infection as a result of the C-section and ended up having a complete hysterectomy at the age of 24. Additionally, the lungs of her baby had not yet fully developed and he ended up in intensive care for nearly 3 weeks. The realization that she could never have any more children was more than she could bear and she ended up with a severe case of depression. Two years later, she took an overdose of sleeping pills, leaving behind her husband and 2-year-old son. I remember asking why the doctor insisted on having the C-section if the baby wasn’t fully developed. She said that since it was past her due date, the doctor said it was necessary. I asked necessary for who – the doctor, because it wasn’t necessary for her baby. She had no answer, but I won’t repeat the answer her husband had. I knew another couple that had to have a C-section because she was several days past her due date and her doctor was going on vacation, so he insisted on the C-section before he left. It was all about his convenience and not what was convenient or best for the mom and child. In case you are interested, the current rate of C-section births here in the United States is 32.9%. that means that 3 of every 10 births in the US are via C-section. If your doctor recommends or insists on a C-section, ask him/her what makes it necessary and why can’t you wait until the baby is ready? If doctors say it’s not advised to allow a baby to stay in the womb too long after the due date, ask why? My wife, born in 1951, was a 10-month baby. Her mom tried to induce labor around her due date by playing basketball, running up and down stairs and even taking Castor oil, but the baby wasn’t ready and finally came a full month after the due date and both mom and baby were fine and healthy. I know many others who were born 1 week, 2 weeks and 3 weeks after due dates and in the vast majority of cases, the baby and mom were healthy, even after waiting past the due date. Remember, the ultimate decision is YOURS, not your doctor’s! Which is Safer – Kiss Your Spouse or Kiss Your Dog? Why Are Doctors Missing Flu Diagnosis in Seniors?